Rats are a permanent fixture of the city but it’s only when they appear in broad daylight in large numbers that we feel their presence. Recently, there have been a number of sightings of multiple rats so we thought it worth taking a look at them. Rats are common. And they can get into everything, eating and destroying as they go. Favourite nibbles are bird seed, sweet corn, root crops and fruit, but these rodents are not fussy. They enjoy setting up home in compost heaps (so turn regularly), under buildings, greenhouses and sheds and in tunnels in impacted earth. You can often see rat droppings near where they live or feed. 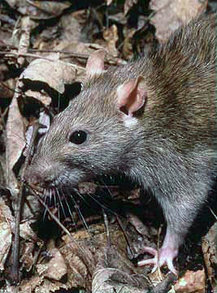 An adult rat is about 21cm long with an 18cm tail. Rats can carry the Weil’s disease which is spread through their urine to humans (through cuts, abrasions or ingestion) so if your compost heap has been invaded by rats, its contents should not be used on fruit and vegetables that are going to be eaten raw, until it is clean and free of rats. If you discover rats living on your plot, you must contact the allotment officer and/or the allotment committee who can advise on, and implement, safe control: using poison outdoors is not just unwise, but also, depending on the bait used, illegal. Fortunately for us, the fox population on site, is an experienced force against rats. 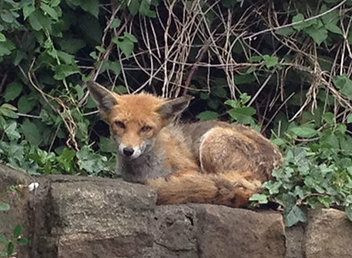 An east side plot holder recently witnessed the casual ease with which an adult fox caught two rats in quick succession without missing a beat.